The technological realm provides an unusually active laboratory not only for new ideas and products but also for the remarkable linguistic innovations that accompany and describe them. How else would words like qubit (a unit of quantum information), sock puppet (an illicit online alternate identity), or in vitro meat (chicken and beef grown in a laboratory) enter our language? 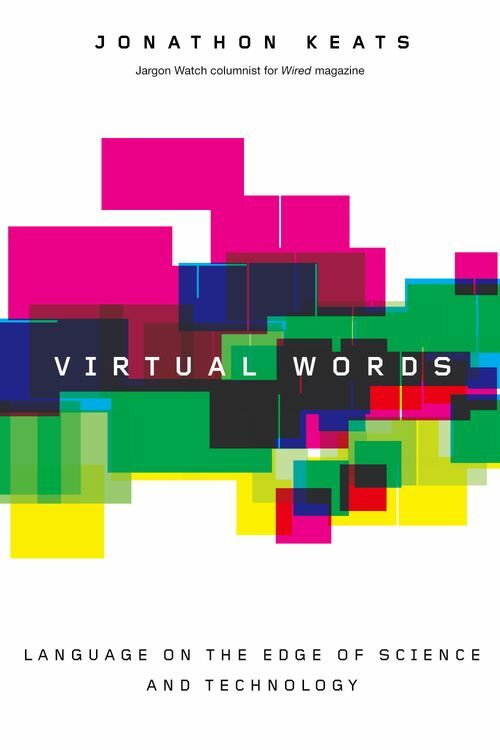 In Virtual Words: Language from the Edge of Science and Technology, Jonathon Keats, author of Wired Magazine's monthly Jargon Watch column, investigates the interplay between words and ideas in our fast-paced tech-driven use-it-or-lose-it society. In 45 illuminating short essays, Keats examines how such words get coined, what relationship they have to their subject matter, and why some, like blog, succeed while others, like flog, fail. Divided into broad categories-such as euphemism, polemic, jargon, and slang, in addition to scientific and technological neologisms-chapters each consider one exemplary word, its definition, origin, context, and significance. Examples range from cybrid (a human-animal hybrid embryo) and unparticle (a form of matter lacking definite mass) to gene foundry (a laboratory where microbes are built) and blackhawk (a combative helicopter parent). Together these words provide not only a survey of technological invention and its consequences, but also a fascinating glimpse of novel language as it comes into being. No one knows this emerging lexical terrain better than Jonathon Keats, and in writing that is as inventive and engaging as the language it describes, Virtual Words offers endless delights for word-lovers, technophiles, and anyone intrigued by the essential human obsession with naming. Jonathon Keats writes the Jargon Watch column for Wired Magazine, and has covered science, technology and language, as well as literature and the arts, for dozens of publications including the Washington Post, Popular Science, Scientific American, and Salon.com. He is the author of two novels, The Pathology of Lies and Lighter Than Vanity, and a story collection, The Book of the Unknown, and is the recipient of Yaddo and MacDowell fellowships. He lives in San Francisco and northern Italy.